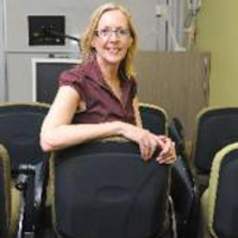 Julie Walker is an associate professor of accounting, discipline leader and commerce program director at the University of Queensland Business School. Julie worked as an accountant in industry for many years before deciding to join academe where she teaches, researches and consults to industry in the area of financial reporting and governance. Julie's research interests focus on disclosure and governance choices by corporations, with particular emphasis on the impact and effectiveness of regulatory reforms on those choices. Most recently, she has become interested in the continuing furore surrounding executive pay and has a number of working and published papers in the area, including publications in The Australian Journal of Management, Accounting and Finance, Australian Accounting Review and The Journal of Contemporary Accounting and Economics.